Rare Single Family Detached Home! This home is full of upgrades & is Move In Ready! This Vientos Residence 2 features a great open concept floor plan, with an entertainers kitchen & a huge GE Profile built in fridge. 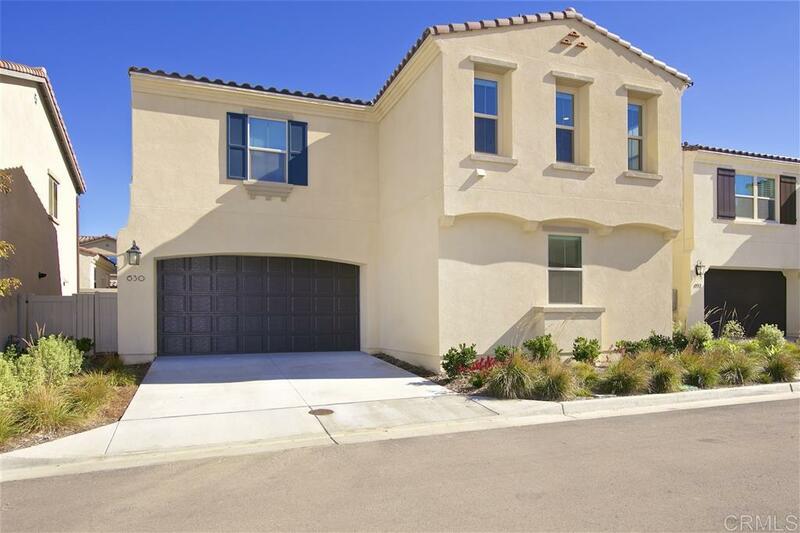 Throughout the home is custom lighting, designer upgraded flooring, custom cordless Bali blinds and a brand new landscaped low maintenance yard. Home also includes GE Washer/Dryer, GE Profile built in fridge all w/ 5 year warranty & all flat screen TV's! See supplement for list of upgrades., - Rare ­Single Family Residence with your own driveway! - Recessed lighting to all 4 bedrooms w/ dimmer. ­- Added dimmers to the existing recessed lights in living room and bonus room. ­- Installed chandelier on dimmer to dining room. ­- Upgraded under cabinet lights in kitchen to dimmable LED lights. ­- Installed motion sensor light installed in garage. ­- Re­routed all TV media cables in living room to the closet underneath the stairs. ­- Upgraded paint with Behr Premium Ultra Plus Paint including the ceilings, walls, baseboards, doors, door frames, trim elements and closet shelving throughout entire house. All doors, baseboards, trim elements & ceilings painted white and walls painted light grey. ­- Upgraded all existing door hardware with new matching matte black hardware to match existing door handles throughout the house. - GE Profile Series 42" Built­ In Side ­by ­Side Refrigerator with Dispenser $8,500 MSRP with transferable 5 year Home Depot protection plan. ­- GE 4.5 cu ft Stackable Front Load­Washing Machine $1,099 MSRP and GE 7.5 cu ft Stackable Electric Dryer $1,099 MSRP BOTH with 5 year Home Depot protection plan. - ­Upgraded quartz counter tops in all 3 bathrooms. - Installed floating shelves in dining room Complete landscape featuring Belgard pavers, turf, plants with irrigation and lights with a timer. - Installed ­white cordless Bali cellular blinds in entire house also covering double doors to backyard.